For this year’s Arts Issue, we wanted to showcase a bit of that liveliness and energy that bubbles up after months of suppression. From DIY punk concerts to a list of emerging art galleries, from poet laureates weaponizing words to plays, paintings, and everything in between, this issue’s artists, musicians, and spaces highlight growth and process. Some artists chose to lay low, working consistently until they broke free with shows and exhibits. Others kept up the momentum going, working just as hard if not harder as if the winter weather was no deterrent at all. Like many of these artists, writers, and other creatives, we all go through different seasons within our work. Sometimes filled with productivity and other times with procrastination; sometimes effortless while other times effortful. The work we do is about more than just what we create. It’s about how we create it and what it took to get there. 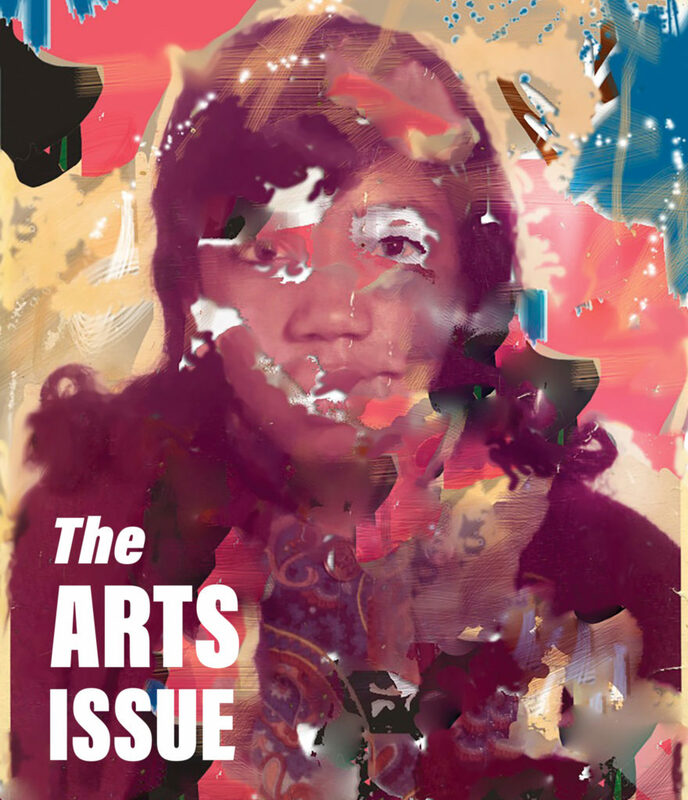 In this issue we explore the various narratives and stories that artists have created through their work, their voices, physical spaces, and beyond. This year’s Arts Issue is an ode to all artists in Chicago creating work, pushing through their own personal winters, and emerging into their own springs. Painting the Process → These photos illustrate the process of creation that graffiti-writers go through. Into the Wild → Roseland artist Armani Howard reflects on the inspiration for his work and fictional world. Catalyzing a New Renaissance in the Backyard → The project aims to create platforms for artists in environments of respect and community. Know Thyself → Smart Museum of Art exhibitions contemplate the ingredients of identity. Revisited Experiences → Chicago painter Andrea Coleman gives old stories a fresh coat.